We have gone by this place many times, heard rumors about it, ogled its succulent offers, contemplated going there—and postponed it time and again. Situated at the entrance to Kirschweiler, en-route to the only cross-country and downhill skiing area in Rhineland-Palatinate, this restaurant sits pretty at a prime location: drivers see this restaurant first or last. If they see it first, they get a very good first impression. If they see it last, well, then there is something pleasant they'll take with them—provided, of course, they eat there. And eat you should. Even though the rumors are not true—that the cook is a Michelin-starred chef—the food is excellent; no, it is fabulous. No, it is incredibly mouthwatering fabulous. 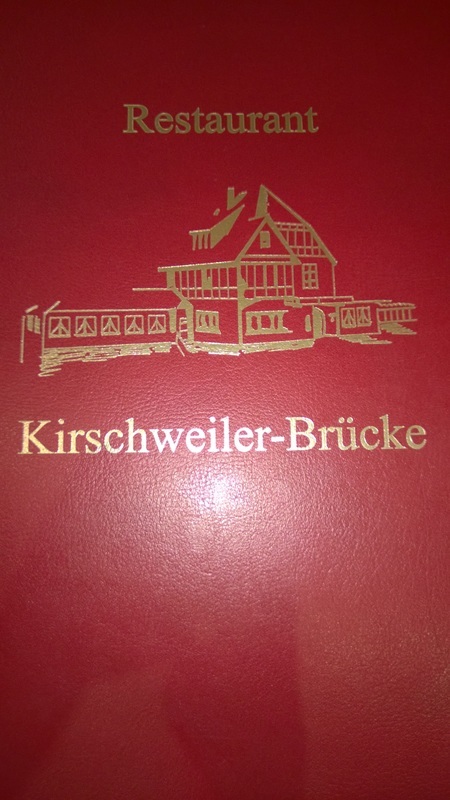 This is the Bon Vivant Gourmets' visit to Restaurant Kirschweilerbrücke! Special items, here a drink and iced coffee, are written on a slice of agate, both particularly attractive and symbolic for neighboring Idar-Oberstein as the capital of gemstones. When opening the menu, the guest sees a few but not too many choices: ranging from Spießbraten (a local delicacy) and vegetarian dishes all the way to seasonal offers. 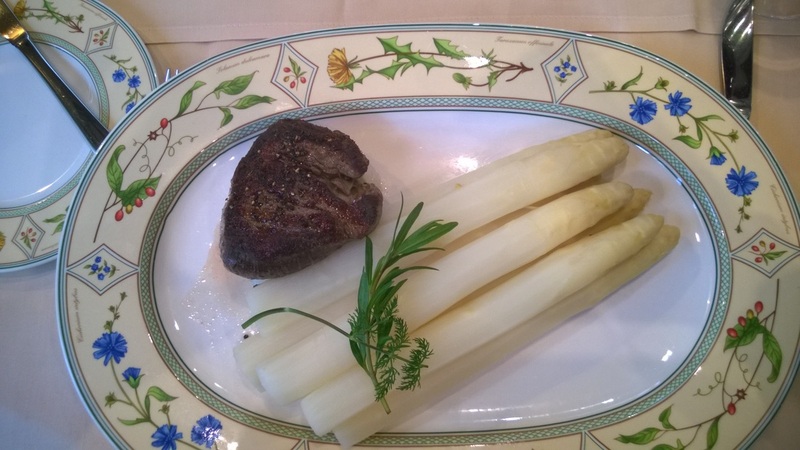 The asparagus comes first: this time of year (in spring), all German gourmets just wait for the first asparagus. This seasonal vegetable is so special that even the German media report about the start of the asparagus season. 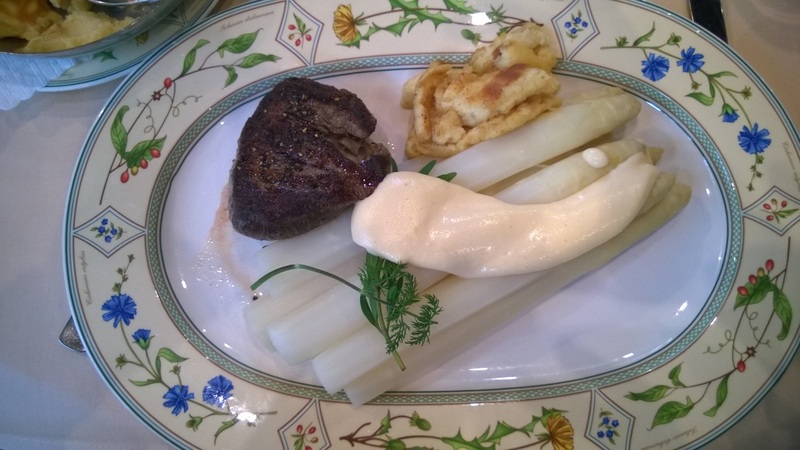 So, we had white asparagus, a juicy steak and Kratzete. As big as a thumb, the asparagus looked just mouthwatering. Most asparagus is served with sauce Bearnaise or Hollandaise. We, however, always eat our very first piece without the sauce—because then, and only then, you really know what asparagus tastes like. The asparagus stalks were big sappy pieces; there was not a hint of wood on it (which often is a problem). It was a soft, juicy affair—if a vegetable could melt, we would write that here. At the right slightly acerbic flavor, it was a delight. The steak was just as excellent. 'Good steak, of course, you can have only in the US,' is a sentiment we would have expressed without hesitation—until last Sunday. The 200-gram affair was delicious. 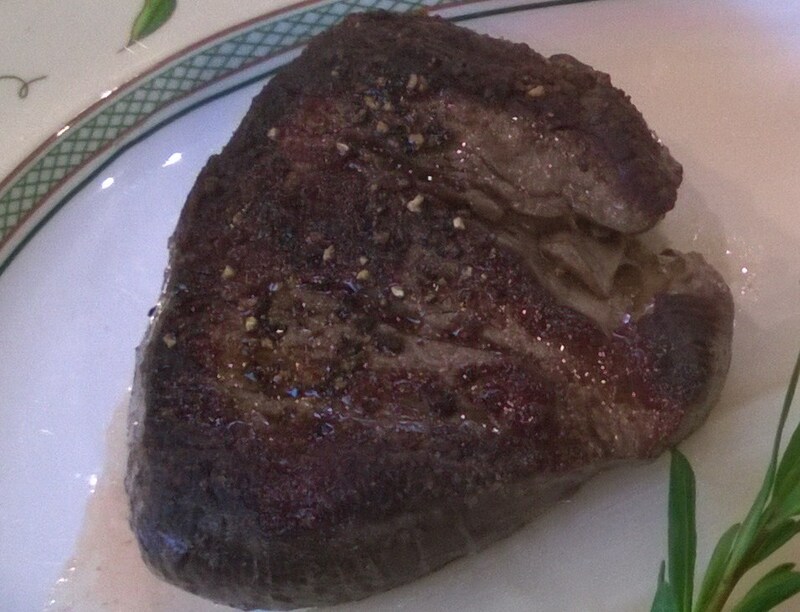 We like our steaks medium, tender, with just the right amount of pepper and salt. The chef could not have met our expectations any better. Oh, by the way, the sauce Bearnaise was frothed-up—which was new to us—and its delicate taste did not cover up the taste of our very first asparagus of the year. So good. Now, Kratzete we have never had before. Apparently it is a specialty from Baden-Württemberg, an area in the south of Germany. 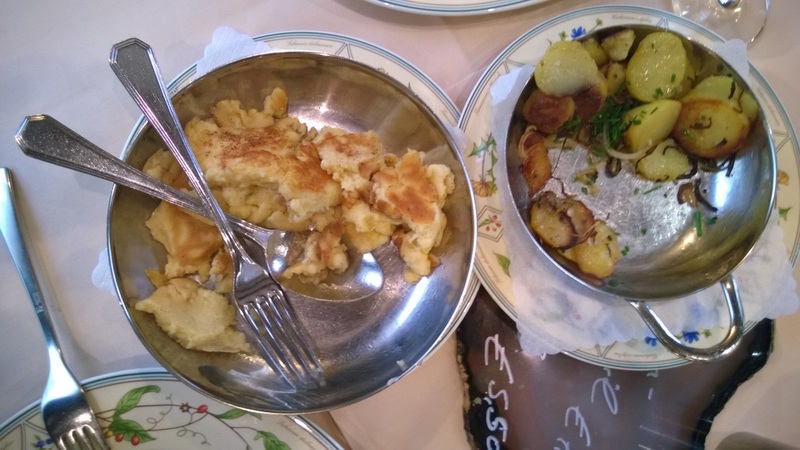 Kratzete in essence is a pancake—not sweet though—cut (or scratched, from German kratzen) into pieces, and traditionally served with asparagus. Not a bad idea. The meal was washed down with a Dornfelder.